For me, a wedding dress is the summon of the disposable/ buy-and-throw consumption society because it is worn only once. 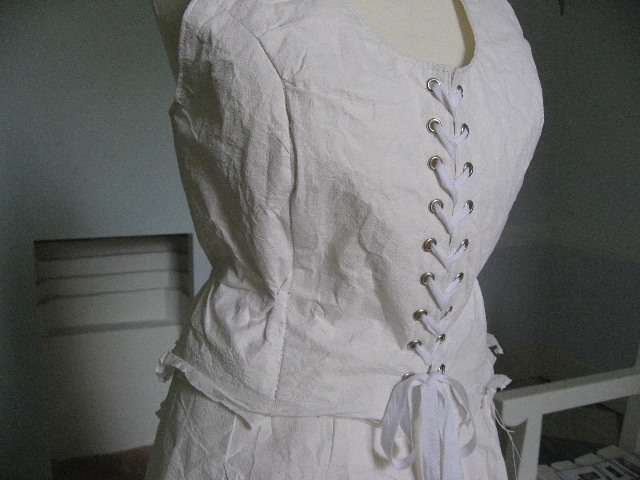 So for the “one-time-use-dress” I have used paper /fabric. 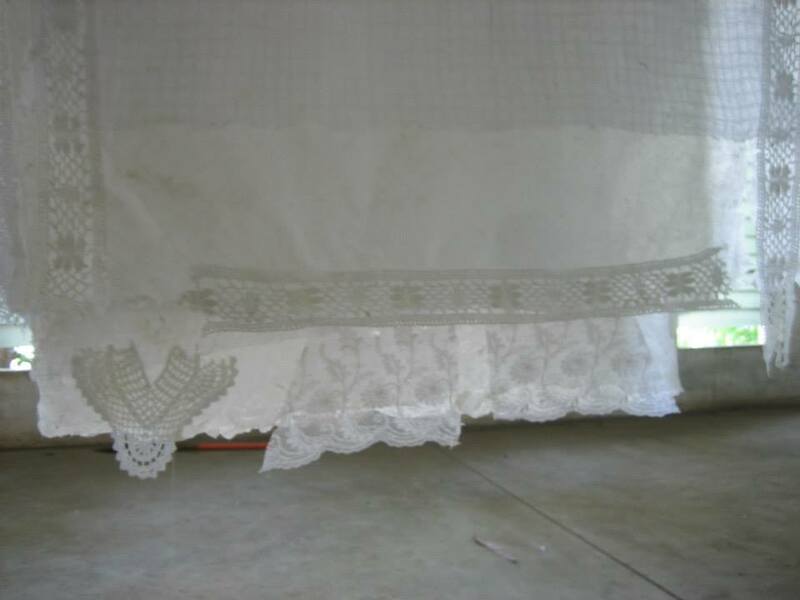 It was specially made with left overs cotton fabric and old lace I removed from old clothes of mine. 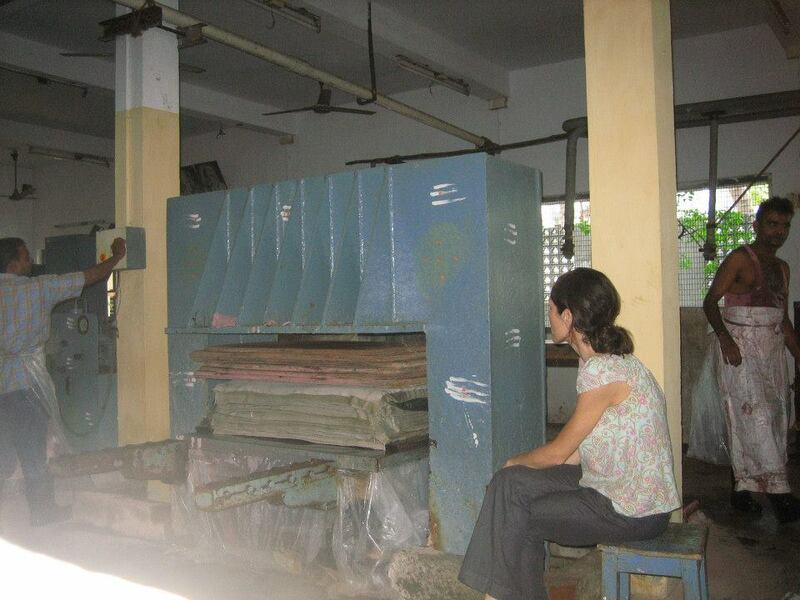 The paper pulp is hand made of used textile rags, rejects of production at the Paper factory in the Sri Aurobindo ashram, Puducherry, India. 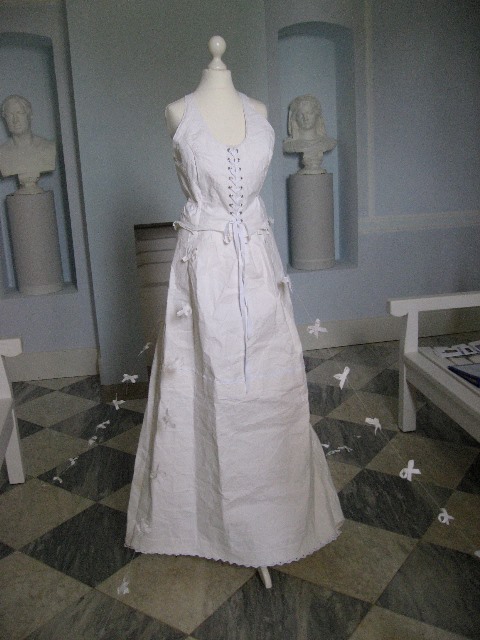 This is the first disposable , ecofriendly wedding dress in 100% re-used material.